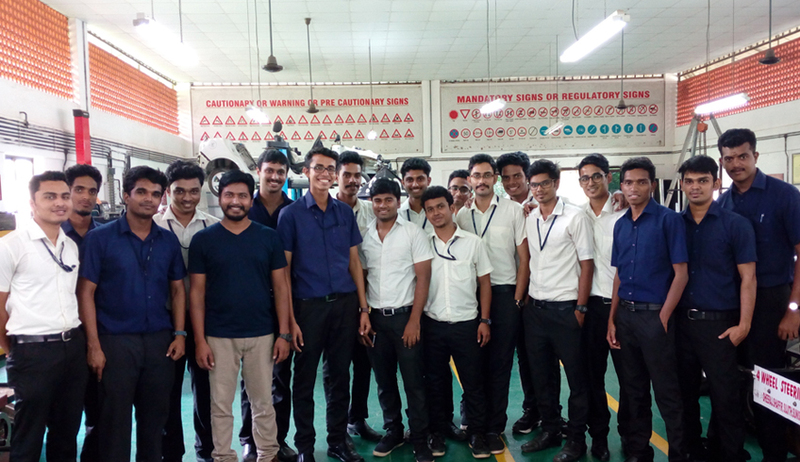 TORQUE, the Automobile Engineering Students' Association of SCMS, Karukutty, aims to play a pivotal role in the development of students as engineers by various out-of-curriculum and extra-curricular activities. TORQUE aims to introduce among its members an awareness and appreciation of the various disciplines of not just Engineering but also other relevant fields. By way of its activities TORQUE aims to be a platform for all the students of SCMS, Karukutty in general and particularly of the students of AU department. TORQUE seeks to be an active organization of the AU department at SCMS, Karukutty which promotes their career interests. Encourages students to prepare various technical presentations. Provides opportunities to gain experience in administering organizational activities, conducting meetings, taking part in committee activities and writing and speaking before groups. Offers social programs that help to develop lasting friendships between students, the faculty and industry professionals. Provides additional exposure for members through competitions. 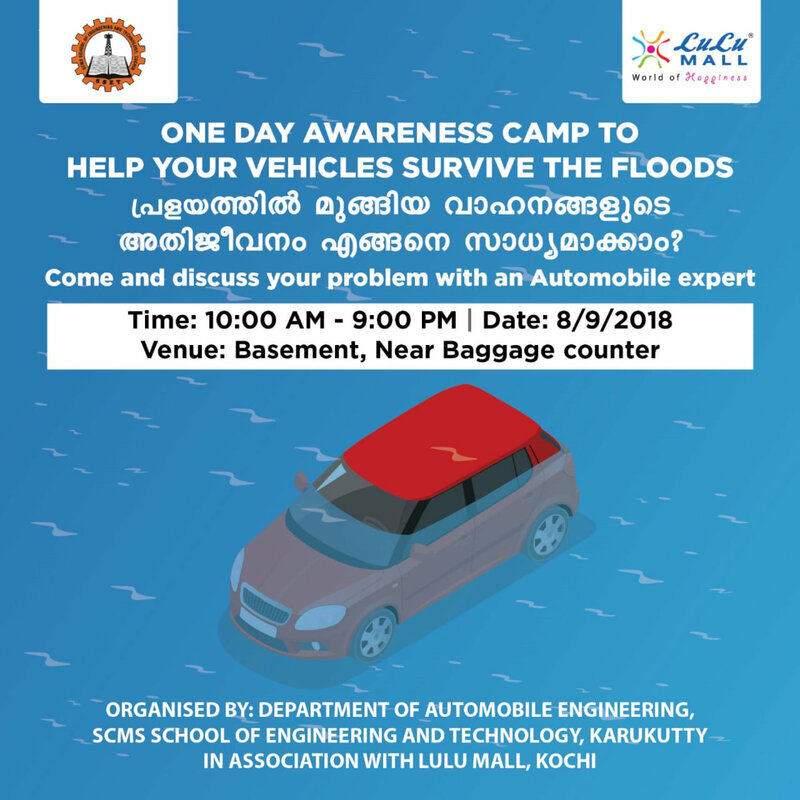 Department of Automobile Engineering in association with TORQUE (Automobile Association of SSET) conducted a “One-day Awareness camp to help your vehicles survive the floods” on 8th September 2018 at Lulu Mall, Kochi. Steps to be taken to handle total loss of vehicle and how to claim insurance for the same. The program received praise from the Management of Lulu Mall and was given coverage on their Facebook page. 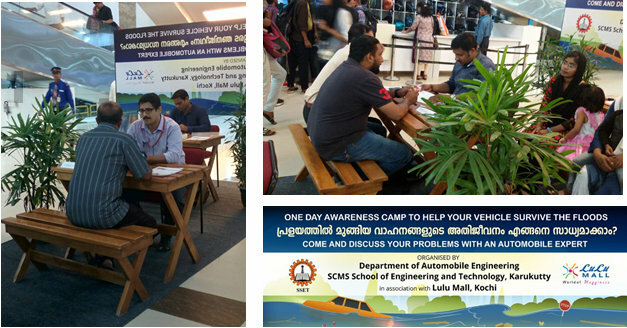 SCMS School of Engineering & Technology in association with Motor Vehicle Department, Kerala were part of the “Malayalam Manorama Auto World Expo” which was held from 2nd to 4th March 2018 at Le Meridien Convention center. 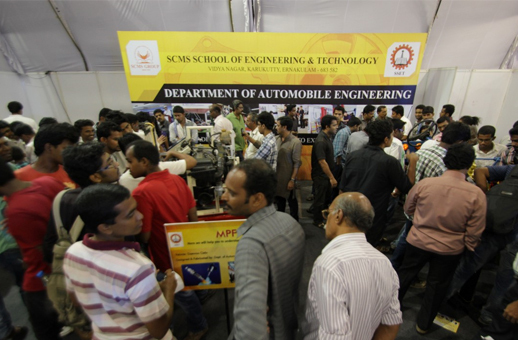 SCMS School of Engineering and Technology was represented by Department of Automobile Engineering and TORQUE (Automobile Association, SSET). A complete vehicle cut section along with the Go Kart designed and fabricated by Rapidez Racing (GO KART Team, SSET) was on display at the expo. 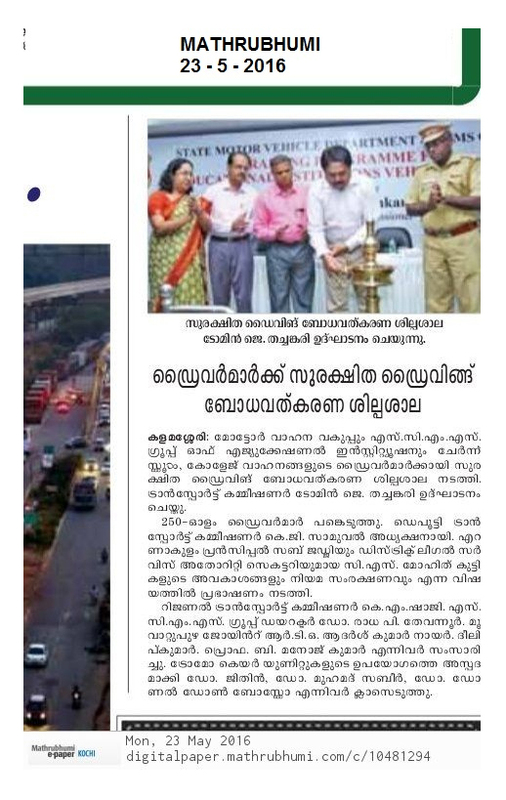 The shared stall of MVD, Kerala and SSET was inaugurated by K Padmakumar, IPS, Transport Commissioner in the presence of Prof Pramod P Thevanoor, Vice Chairman, SCMS Group of Institutions. 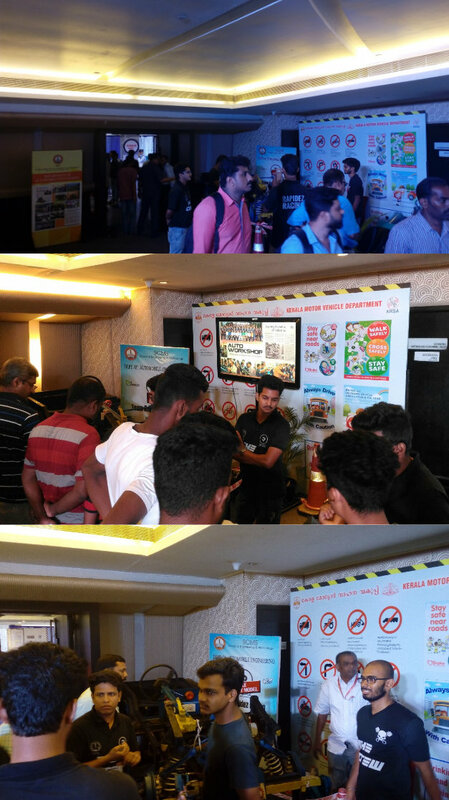 The stall received a lot of visitors who were eager to learn the inner workings of an automobile. The 5thGo Kart Design Challenge was hosted at the Kari Motor Speedway, Chettipalayam, Coimbatore from 12th Feb 2018 to 16th Feb 2018. A total of 44 teams from different parts of India participated. They were accompanied by Mr Koshy P Joseph, Assistant Professor and Mr Haridas V K, Foreman. The team finished in the top 5 in the various dynamic and static events. Team Rapidez Racing, Kart No 13, Team ID: 20170247 secured 5thplace in the endurance and fuel economy run. A total of 26 karts were eligible for the endurance run but only 13 completed the 12 laps. Kart No 135 finished in the 3rdposition overall in the 5th GKDC. This is the first time in the history of this event that a team from Kerala has finished the competition in this position. Mr Umesh Pratap Singh, Convenor of the 4th Go-Kart Design Challenge visited our campus on July 26th, 2016 and interacted with our students who are members of Rapidez Racing the Go – Kart design and development team of SCMS School of Engineering & Technology which is also a part of TORQUE, the automobile engineering association of SCMS. The 4th Go Kart Design Challenge was hosted at the Kari Motor Speedway, Chettipalayam Coimbatore from 14th Jan 2017 to 17th Jan 2017. A total of 45 teams from different parts of India participated. 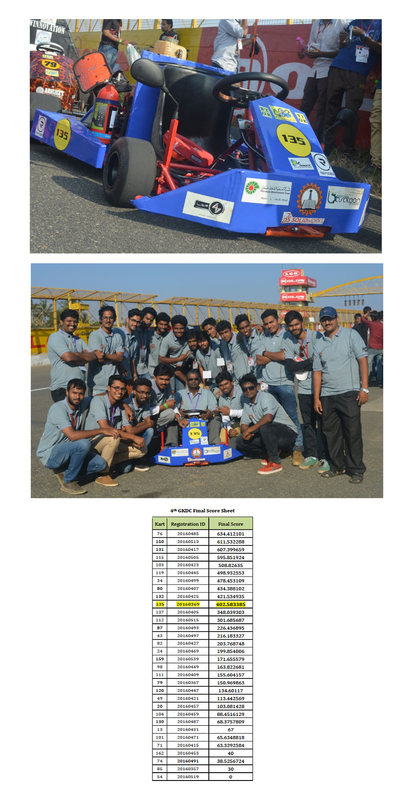 Team Rapidez Racing the Go Kart Design team of Department of Automobile Engineering, SCMS School of Engineering and Technology is the first and only team from Kerala to clear the Pre – Final Round and reach the endurance round (Final round). The team comprised of 18 students – eight 5th semester and ten 7th semester students. They were accompanied by Mr Koshy P Joseph, Mr Sujay K both Assistant Professors and Mr Haridas V K, Foreman. Team Rapidez Racing, Kart No 135, Team ID: 20160369 secured 5th place in the endurance and fuel economy run. A total of 23 karts were eligible for endurance but only 10 completed the 12 laps. Kart No 135 finished in the 10th position overall in the 4th GKDC. 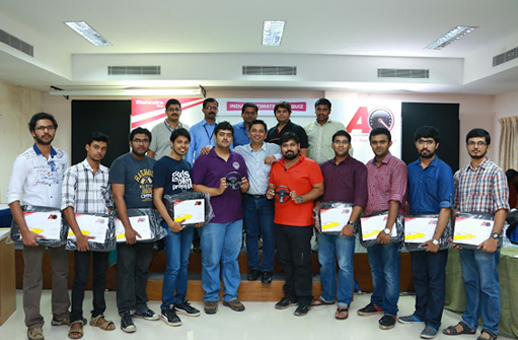 The Automobile Engineering Students' Association of SCMS, Karukutty, TORQUE hosted ‘’MAHINDRA AQ SEASON 7’’, a prestigious automotive quiz of MAHINDRA & MAHINDRA LTD., at Karukutty campus. AQ is the ultimate destination for anyone who loves automobiles, brought to you by Mahindra and Mahindra. Mahindra has partnered with NDTV to broadcast episodes of the regional rounds and national finale. 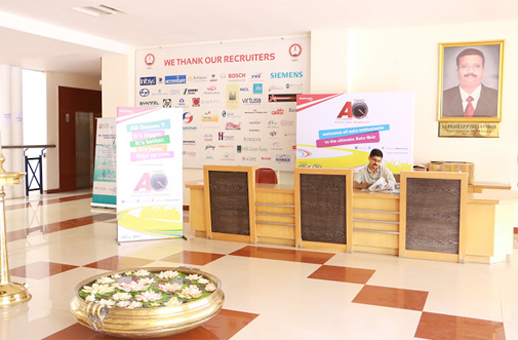 Auto Quotient is inculcating passion for auto by recognizing and developing young talent in the auto field. Mahindra AQ is more than just people demonstrating their auto - gyaan. It’s about auto lovers learning from each other and exploring the exhilarating world of automobiles. 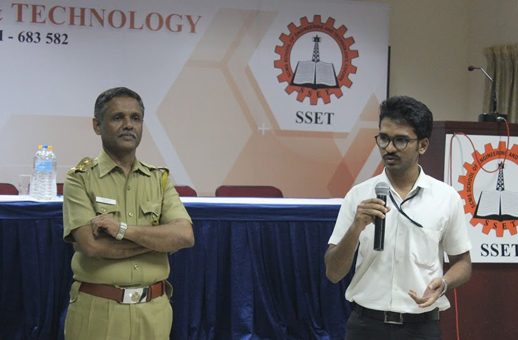 TORQUE, the Automobile Engineering Students' Association of SCMS, Karukutty together with Kerala Motor Vehicles Department organised Road Safety Awareness Program for Students and Staff of S.S.E.T. on 06-08-2015, Thursday at Main Seminar Hall, SSET. 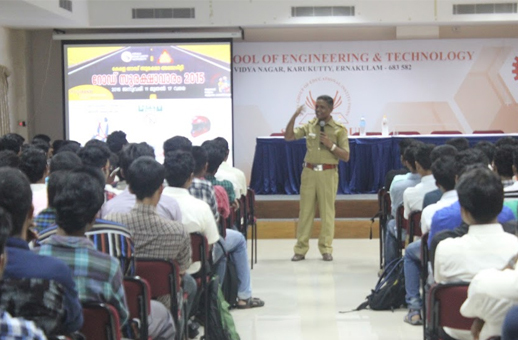 TORQUE, the Automobile Engineering Students' Association of SCMS, Karukutty conducted Preliminary rounds of “Honda drive to safety program’’. 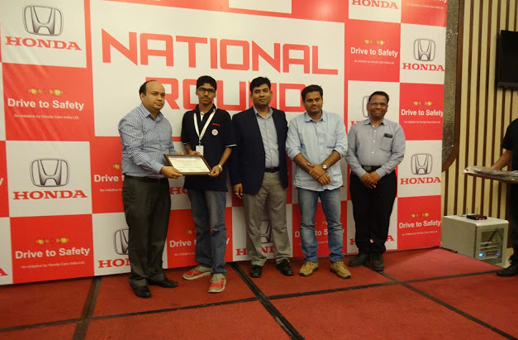 “Honda drive to safety program’’ is a National Level Competition held on 28-03-2015 for School/Colleges representative at the Radisson Blu, New Delhi. The theme of the program is to promote the concept of safety in teenagers. 34 students across the nation participated in the event. 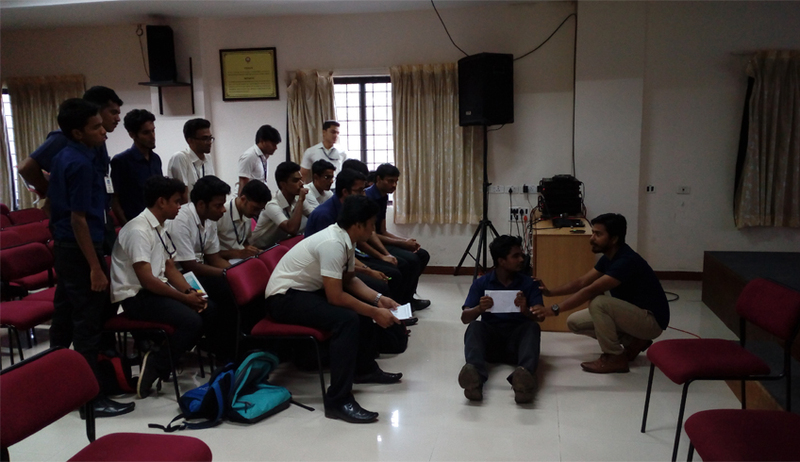 In the first round; students were asked to prepare a presentation of 5 minutes on the topic ‘’How to reduce road accidents in India? ‘’, the students were given a preparation time of 15 minutes. The second & third round was audio visual round with buzzer related to safety aspects of Honda vehicles & Motor Vehicles act. 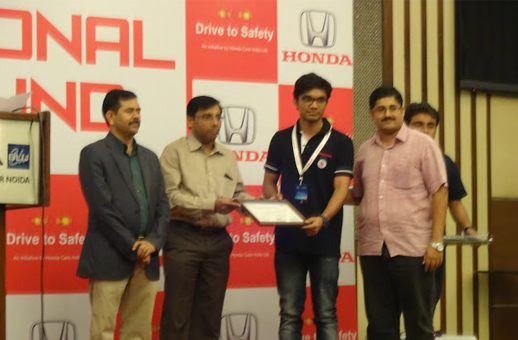 Later Honda "Drive to Safety" Trophy and Exciting Gifts were presented to the winners. 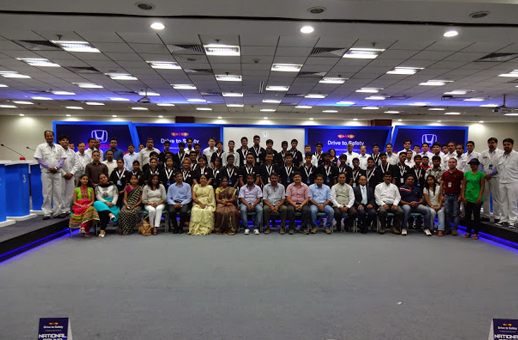 The event included a Quiz, National Level Seminar, Games and Honda factory visit in Greater Noida, U.P. Mr. JIJIN JOHN & Mr. PRAJAITH. C (S1&2 Automobile Engineering students of S.S.E.T) along with Faculty advisors Mr. MANOJ KUMAR B (Asst. 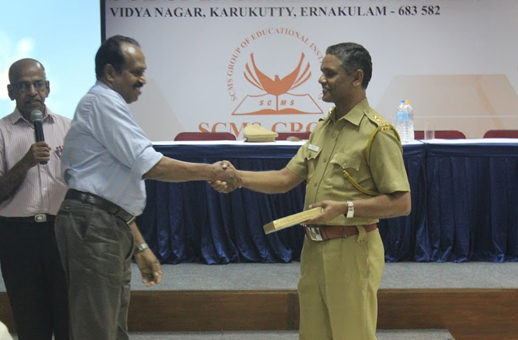 Professor – Automobile Engineering Dept) & Mr. KOSHY P JOSEPH (Asst. 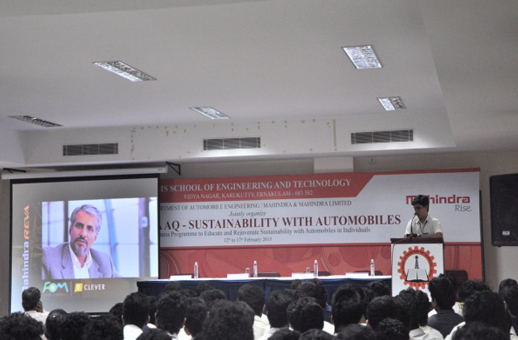 Professor – Automobile Engineering Dept) participated in the event. Students received participation certificates and various gifts from Honda. The travel and lodging for the participants were entirely sponsored by Honda Cars India Ltd, (HCIL). 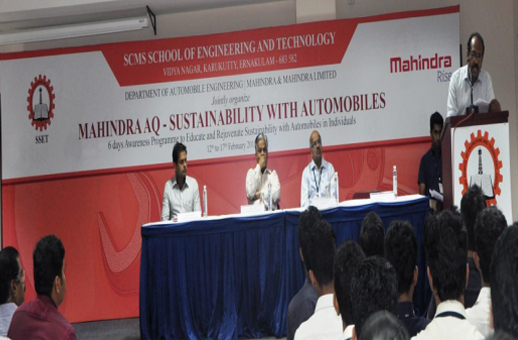 TORQUE, the Automobile Engineering Students' Association of SCMS, Karukutty together with Mahindra and Mahindra Ltd organised an exciting initiative ‘Mahindra AQ - Sustainability with Automobiles in individuals’ at SSET Campus on 12 Feb 2015 - 17 Feb 2015. 6 Days awareness programme focus on educating individuals on how automobiles can contribute towards making a smart city. The event took place at only 11 campuses all over the nation & SCMS campus, karukutty is chosen to be one of these 11 campuses. The first 4 days as an institution, we have conducted several programs including me and my vehicle, seminar series, technical poster, technical paper presentations, drawing competitions, project presentations, she torque, my idea contest, road show etc. for creating awareness on the topic. The Mahindra AQ Panel team did the awareness program on the 4th and 5th day through lectures and one On-ground event, which includes building a special track in the campus. Later selected participants through written test are allowed for manoeuvring through hurdles which promote sustainability with automobiles. Mr. Abijith Menon , Mr. Jabir Haneef , S 8 Automobile Engineering students selected for Internship training with stipend at Mahindra. Mr. Jayasurya M & Mr. Godvin Abi Mathew, S 6 Automobile Engineering students, selected for short term training programme at Mahindra Adventure Off-Road Training Academy, Igatputi, Maharashtra State. 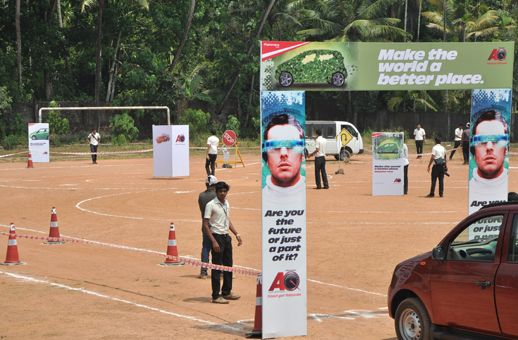 Asianet Satellite communications Limited conducted an Auto Expo during 15th to 17th February 2013 at Jawaharlal Nehru Stadium, Kochi and SCMS School of Engineering & Technology was its official college partner. This was the first time Asianet had organized such an Auto Expo which showcased the latest on Automotive industry including new cars, bikes and 3 wheelers. 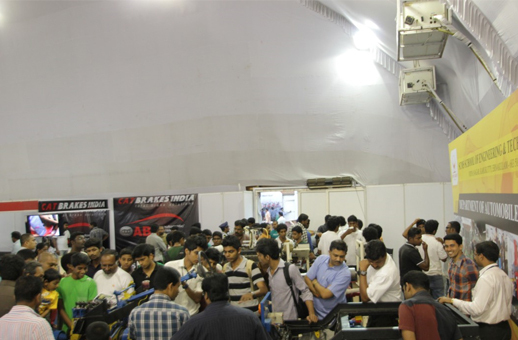 Alternate Fuel Products, Audio Accessories etc were major attractions exhibited in special stalls. The main focus of the show was the latest innovations in the areas of safety, environment and fuel efficiency. 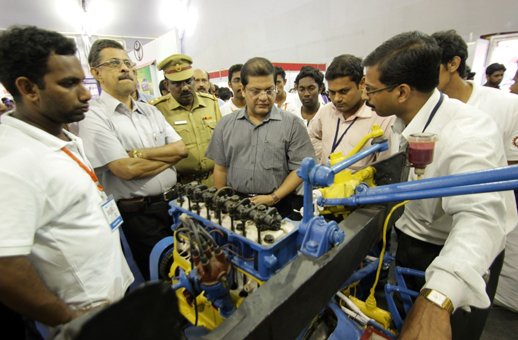 The cutaway working model of a Premier Padmini and the engine testing unit connected to a Daewoo Cielo engine displayed by our Department of Automobile Engineering were appreciated by many visitors. 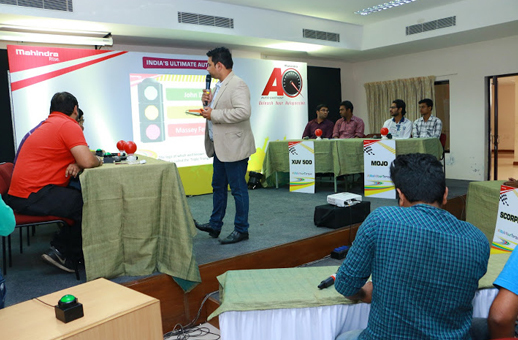 TORQUE, the Automobile Engineering Students' Association of SCMS, Karukutty together with Smart Drive, Mathrubhumi Automobile magazine also conducted a live quiz at the stall. Participants who identified 10 components out of a total of 15 components were awarded with the latest issue of Smart Drive magazine, and those who identified all the 15 components had a lucky draw, out of which, nine winners are selected for one year subscription of Smart Drive Auto magazine. 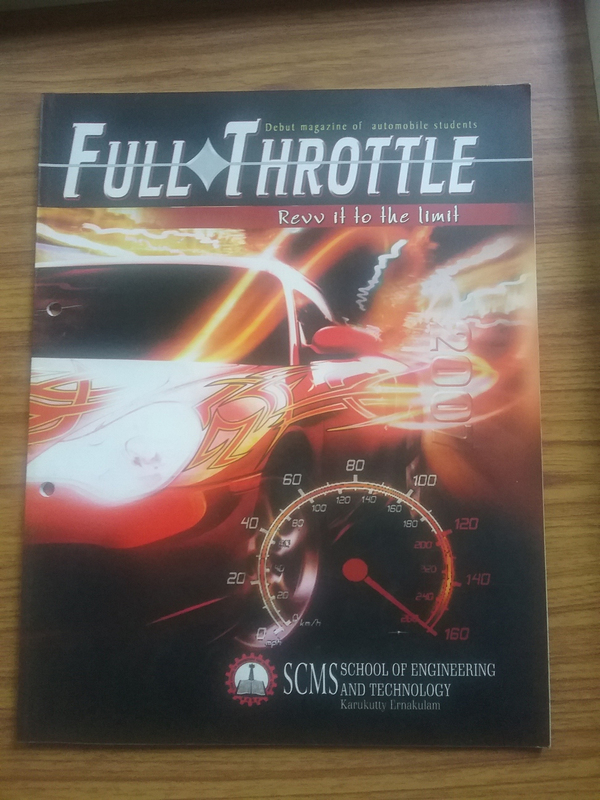 Torque – The association of automobile engineering students – released their in-house magazine, ‘Full Throttle’ at a colourful event organized on November 2. Smt. Mini Thomas, Sub Editor of FastTrack, a leading Malayalam automobile magazine from the house of Malayala Manorama, was the Chief Guest. Prof.E.D Mukundan, HOD, delivered the presidential address and Sijo George, Magazine Editor, proposed the vote of thanks, Mr. Manoj Kumar. B. Lecturer, Automobile Engineering, offered the felicitations. 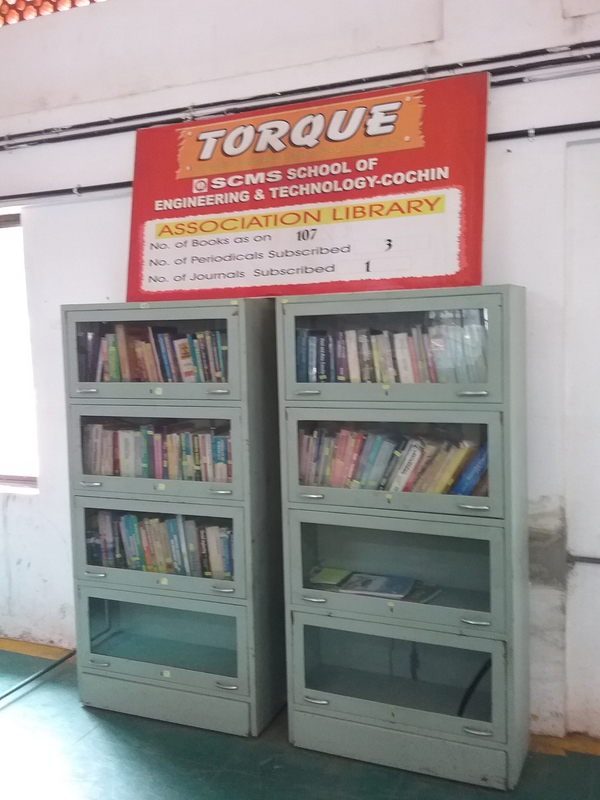 TORQUE, the Automobile Engineering Students' Association of SCMS, Karukutty is operating an exclusive library focusing on Automobile Engineering related books in karukutty campus.